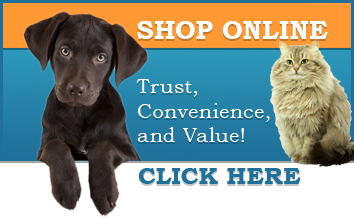 who provide exceptional veterinary care for your pets. In 1980, Dr. Cashwell graduated from the Auburn University School of Veterinary Medicine. She practiced at hospitals in Jacksonville, Florida, and Fayetteville, North Carolina, before returning to practice near her home town of Hurtsboro. In 1983, Dr Cashwell opened Central Animal Hospital on Old Opelika Road. In 1991, the practice was renamed and moved to our present location in Phenix City, AL. The facility earned Dr. Cashwell an Honorable Mention for Hospital Design in a nationwide competition. In 2016 Dr. Cashwell was selected as a member of the board at Auburn University Veterinary Teaching Hospital. Dr. Cashwell is a member of the American Veterinary Medical Association (AVMA), the Alabama Veterinary Medical Association (ALVMA), the American Veterinary Society of Animal Behavior (AVSAB) and the American Animal Hospital Association (AAHA). When she's not working Dr. Cashwell enjoys riding horses, working with her dogs, sailing with her husband Jim, and keeping up with son Cash (a recent graduate of Auburn University and current grad student at CSU and daughter Erin (a graduate and grad student at Florida State University). Dr. Herrin received her B.S. in Animal and Dairy Sciences from Auburn University in 2000. She graduated from the Tuskegee University School of Veterinary Medicine in May 2004. She practiced in Montgomery, Alabama for one year, in Tallassee, Alabama for one year, and then joined the Companion Animal Hospital team in May 2006 in Phenix City, AL. Dr. Herrin is a member of the the American Veterinary Medical Association (AVMA), the Alabama Veterinary Medical Association (ALVMA) and the American Animal Hospital Association (AAHA). When she's not working, she enjoys her family,dogs, cats, horse and donkey. Dr. Pace is originally from Eastern Kentucky. She has a B.A. degree in Biology from Pikeville College, an M.S. in Biology with an emphasis in Microbiology from Eastern Kentucky University and a D.V.M. from Auburn's College of Veterinary Medicine. After graduating from veterinary medical school in 2007, Dr. Pace moved to Northern Ohio where she worked as a small and exotics animal practitioner. She also worked at the Akron Zoo, several wildlife organizations, and pet stores. She then worked in Birmingham, AL and Somerset, KY before settling down in East Alabama with her husband Dr. Jesse L. Pace and son Jasper. She enjoys working with cats, dogs, and exotic pets. Her personal interests are camping, hiking with her dogs, running and anything AUBURN. WAR EAGLE! She has 7 pets: two dogs, Maxwell, Agent 99 (aka Squidbitty); three cats, Blue, Maleficent and Tiny Tim. Laurel Gardner, DVM, is a native of Miami, Florida where her parents indulged and encouraged her natural love for animals. At the age of three she determined to become a veterinarian, and that goal was accomplished when she graduated from Auburn University's College of Veterinary Medicine in 1986. Dr. Gardner entered private practice as an associate with Dr. Ralph Womer at The Village Veterinary Clinic for a short period of time and then found her niche in relief veterinary work, which she has been doing for the last fifteen years. Nichole McElroy, DVM graduated from Auburn University's College of Veterinary Medicine in 2000. She practiced in Georgia, North Carolina and Tennessee prior to moving back to the Auburn area in 2007, where she also found her niche in relief work. When not working, she enjoys her three very active boys and reading.